What happens during a power flush and how long does it take? 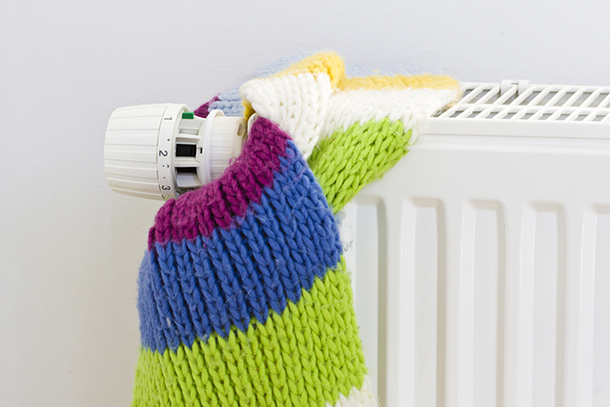 When does my central heating system need a powerflush? Who should perform a powerflush? Is powerflushing always the solution to central-heating problems? Will power flushing remove all the sludge in my central-heating system? A power flush is a process carried out by central heating engineers designed to remove sludgy build-up in the boiler, pipes and radiators that make up your central heating system. A power flushing unit sends water through your central-heating system at high velocity to dislodge any build-up of sludge, rust and other debris. This helps to improve the efficiency and lifespan of the boiler and central heating system and prevent breakdowns. As with so many plumbing issues, regular maintenance (including power flushing) is the best way to keep your system in shape. 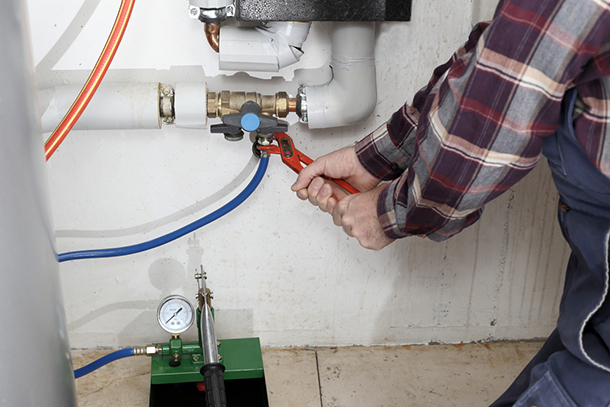 See our article on 10 expert tips to look after your plumbing system for more advice. If your central-heating system needs power flushing, Which? Trusted Traders has endorsed central-heating engineers in your area. All our Which? Trusted traders undergo our rigorous assessment process before they’re admitted to the scheme, making it easier for you to find a trader you can trust. A powerful machine called a 'pumping station' is used to remove dirty water and sludgy build-up while introducing clean water. The engineer may add a chemical to the system to break down sludge before the equipment is connected and the flushing process begins. The power flushing process has several stages and your engineer will probably take between several hours to the whole day to complete the power flush. Step one – following the equipment set-up, the engineer should spend around 90 minutes flushing the whole system (in both directions) and then they will tackle troublesome sections until they run clean. Your engineer will work on heavily contaminated radiators separately. They may use an ‘agitator’ (a tough pad attached to a hammer action drill) to help release internal build ups of sludge. Step two - after clearing out the system, the engineer will add a chemical neutraliser and wash it through the system. Then your engineer should check the PH balance to ensure the system is not too acidic, as excess acid can lead to internal corrosion. Step three – your engineer will add a dose of ‘inhibitor’ fluid to the system. This prevents corrosion and goes some way in preventing sludge building-up again in the central heating system. Depending on the size and initial condition of the system, the complete process may well take all day. an overflowing attic header tank (although this could also be caused by a pump being set at the wrong speed). If you’re thinking of having a new boiler installed, check the Which? guide to ensure you get the best installation. If you’d like to find a central-heating engineer in your area, why not use the Which? Trusted Traders straightforward search function, to find traders endorsed by Which? in your area. Bear in mind that central-heating engineers are often less busy during the summer months, when people do not think about their central-heating system. Of course they’re still available in colder months, but you may need to wait longer for an appointment. A suitably qualified central heating engineer should carry out power flushing. This is not something to attempt yourself, particularly if your engineer also needs to open up your boiler or examine other faults in your central-heating system. All Which? Trusted Traders central-heating engineers are registered with Gas Safe. No. If there is a broken part in your boiler, or elsewhere in your central-heating system, power flushing will not fix it. Power flushing can improve the efficiency of your system and keep it running effectively but it cannot mend valves that have broken as a result of sludge in the system, for example. Equally, power flushing is not the solution to pressure loss. That usually indicates a leak in the system – again this may have occurred due to inefficient running, but the power flushing will not solve the problem by itself. Power flushing works best if it is carried out regularly from when a system is new. If you have an older boiler and system (if it’s 15 years old or more) then power flushing might not work for you. In this case, it’d be more cost-effective to look at replacing the boiler, radiators and maybe some of the pipework, rather than trying to improve a failing system. Because power flushing pushes water around your central-heating system at high speed, it can increase pressure on any areas of weakness, such as rusting radiators. If there are any underlying weaknesses, it can lead to leaks. Your central-heating engineer should be able to evaluate whether power flushing is the best option for your system. If there is an underlying fault, your engineer will need to check the system thoroughly to find and remedy it. See our article on servicing checks and common problems in gas-combi boilers for more information. No. It will remove a good proportion of it, but it cannot remove all the sludge in the system. If your system is very old or very-heavily silted up, then power flushing may not be sufficient to remedy the problem. If you have a gas combi-boiler, then you may want to ask your engineer to remove the hot water heat exchanger, flush that separately on both sides as well, to remove any limescale build up, before refitting it into the combi-boiler.